This Monday the world got to experience something that does not frequently occur: a solar eclipse. 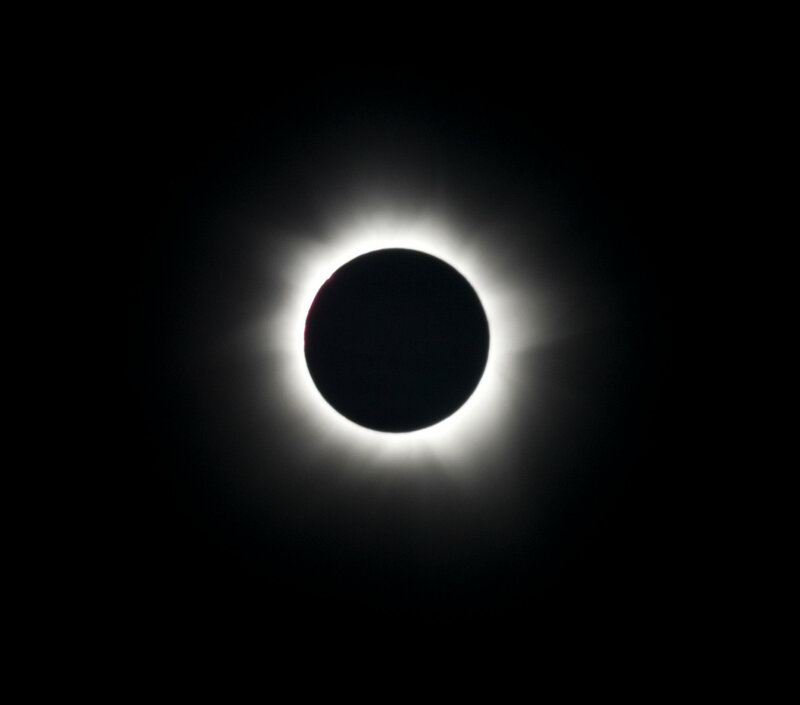 A solar eclipse occurs whenever the moon passes in the middle of the Sun and the Earth, causing a silhouette-styled view. The sight is a truly interesting one, especially because of the way the sky changes from bright to dark for a moment. However, what can be an interesting view can change to a painful one if the eyes were not properly protected for those who viewed directly at the son when the solar eclipse occurred. There are a couple of ways that the eyes can get affected if looking directly at the sun. One of the ways is that eyes can actually get burnt from the sunlight. This is due to the fact that sunlight has a certain amount of radiation. However, due to eyes not having pain receptors, people can sustain the burn without even realizing that their eyes are getting burned. This can be dangerous, because people may not know their eyes are becoming damaged at the same time they are looking at the sun. The second way that eyes can be affected by looking directly at the sun without protection is due to “photochemical toxicity”. This occurs when certain photoactive materials in the eye are attacked by the mixture of sunlight, chemical materials in the eyes, which can lead to molecules in the eye breaking down, and could cause tissue damage. This is especially important because once a retina is damaged, it may be difficult to regenerate. What can be even more dangerous is that it may take several months for the person to actually notice that their eyes have become affected by a solar eclipse. For these two reasons, it is important for people who want to view solar eclipses to have the proper gear to do so, as will be discussed below. What Can I Do to Prevent Eye Damage from an Eclipse? As previously mentioned, looking directly at the sun or any bright light source without proper protection can be dangerous. Even though it may be tempting to go outside and view an eclipse as it is happening, it is better to take the proper precautions by having proper gear at hand. Damage to the retina or any other part of the eye is something to be taken seriously, which is why it is highly encouraged for parents to teach their children about eye safety techniques. Remember, is it really worth looking at a bright light source for a moment, to having your eyes damage for a long time? A good suggestion is to find out when an eclipse will take place, know the location where you will be, and take the proper gear to that location. Also, drivers who are on the wheel at the time of the eclipse should focus their attention on driving. Car accidents can occur because of distraction, which is why drivers have the responsibility of keeping their eyes on the road.